by that logic kioshima statistics (Past 3 months) Rating 2.0 1.12 Above Average Kills per round 0.72 So how kio's overrated ? olof and AdreN need to be kicked. 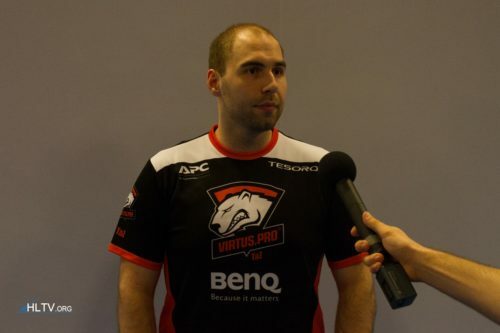 bring in MSL or ex6tenz and a support player like STYKO. As an LEM myself I found it offensive . Hella no. Not the best in 1.6, i would not consider him top5 of all time in CS 1.6. Same in GO. Get_RiGhT is much better player than him and he was the real talent kid (on scene since 15) . In CSGO he is top 10 if u are a fanboy. Agree with all except olof. I'm sorry to betray my country but Cromen is overrated. Right now he's not even the best player in Nordavind. nbk no. Never saw anyone say anything good about him unless he makes a great play. Yeah: overrated. He might be #1 but still overrated. It is possible. you're trash, if gla1ve isn't in astralis they'll easily lose their no1 spot and the era will be over. The backbone of Astralis is Zonic. KioshiMa wtf? What world are you living in? I just remembered that he was crying on twitter about being the problem while being a very mediocre player, bm af twitter.com/kiocsgoo/status/741370455093.. Most hated players is overrated? Most of his kill isn't even eco kills so I don't get the whole eco thing. He gets as many eco kills as any other player? 0/8 Pronax was igl for fnatic and they won everything. Then he left and what happened? He also has 1.21 rating. -everyone +s1mple Even if he is very good, he is massively overrated by his fangirls. fangirls ? so his fangirls are every analysts, casters, almost every pro player ? ?? No his fangirls are like you. I said he is best but still massively overrated by his fangirls. At the moment, Stewie2K. He is a good player but he's by no means a star player like some believe. Maybe he’s capable of it, but I don’t think we will see that side of him in this Liquid lineup based on the sheer amount of talent in the team, and also the specific role he plays for them.